23 MarNXTGEN 2016 is here! NXTGEN 2016 is here. It is designed as an accelerated and hands-on learning initiative for inspiring and educating our future techies, designers, artists and entrepreneurs in P2. In 2015, more than 100 enthusiastic and passionate techies, designers and artists attended NXTGEN sprints and workshops at Basecamp. 70 individuals from 15 campuses in KPK were given scholarships, who received accelerated education in the areas of Technology, Design, Art, Communication, and Entrepreneurship. 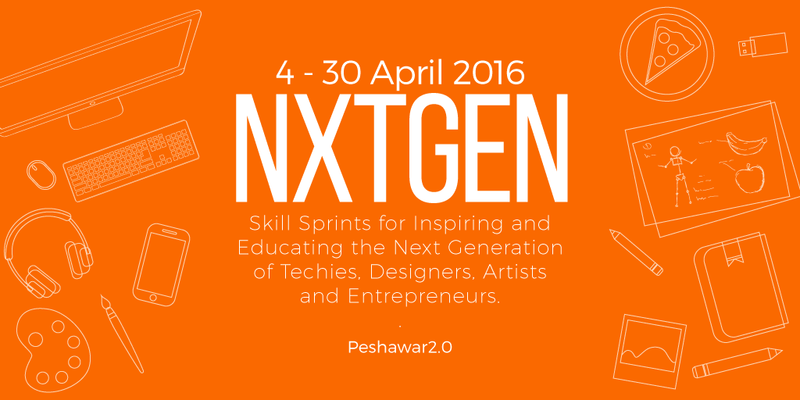 This year, P2 has created a PKR 1 Million Scholarship Fund to provide accelerated education to Ten (10) aspiring Designers, Coders and Artists in NXTGEN 2016.